Reading Dear Abby this morning, I learned that today, June 15, is World Elder Abuse Day. It’s a subject close to my heart. As President of my own licensed home care services agency, ElderSource, Inc., I witnessed the extreme pressures that can lead to potentially abusive situations, even among loving families who are doing their best to provide quality care for their elders. * Unfortunately, most seniors are not nearly as well off as our clients were. The National Center on Elder Abuse estimates that as many as one in ten elders experience some form of abuse, but only one in five cases gets reported. 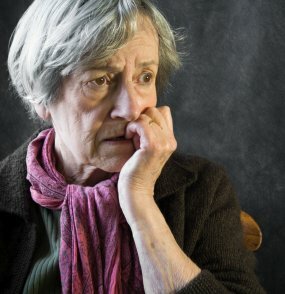 They define elder abuse as “neglect, exploitation or ‘painful or harmful’ mistreatment of anyone 65 or older,” and the abuse can be financial, physical or psychological. We’ve all heard the horror stories that surface regularly in the news – the abusive caregivers, the financial scams that can cost gullible elders their homes. Perhaps less obvious is the neglect that can stem from isolation, especially when dementia, mental illness or substance abuse are involved. Elders living alone, far from involved family, can suffer from self-neglect when they’re unable or unwilling to care for their own needs. My 81-year-old brother in the Bronx has a wonderful support network of neighbors he’s come to know over 30 years in the same apartment building, but suburban neighborhoods of single-family dwellings don’t offer the same comfortable familiarity. Personally, I plan to age in place – our home is already too small for all our stuff, and I can’t picture downsizing any further. But it’s not a prospect I look forward to with great enthusiasm, and it’s all too easy to envision myself as a neglected recluse in some not so distant future. Keep in contact with your older friends, neighbors and relatives so as to help decrease isolation, a risk factor for mistreatment. Be observant for signs of abuse or neglect. Report possible mistreatment or neglect to your local adult protective services agency or to 911. Contact your local Area Agency on Aging office to help identify possible sources of support like Meals on Wheels. Volunteer, either formally or informally. With elderly neighbors living on either side of us, my husband and I drove them to doctors’ appointments and ran errands. I’m grateful for the stories they told me and the closeness we developed near the ends of their life spans, and I hope my own younger neighbors may reciprocate someday. More formally, as administrator for the Memorial Society of the Hudson-Mohawk Region, I help educate people about affordable funerals and how to avoid one of the most common financial rip-offs that plague our seniors. But why get involved in yet another cause, when there are so many clamoring for our attention? Because we’re all part of a beloved community, both globally and locally, and the person who needs your help may be as close as your next-door neighbor. 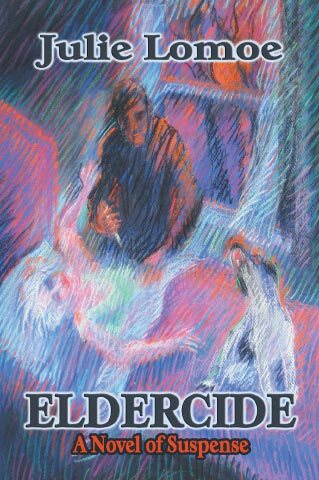 *My experience as President and CEO of ElderSource inspired my novel Eldercide, which addresses the question, “When quality of life declines with age and illness, who decides if you’re better off dead?” The book explores elder abuse taken to the extreme, but fortunately it’s pure fiction – at least from my perspective. Unfortunately, the plot is all too plausible. You can read more about Eldercide on this site. In late August, my son-in-law died unexpectedly at the age of 42, leaving behind my daughter and two young granddaughters. Although I’ve been Administrator for the Memorial Society of the Hudson-Mohawk Region for several years, I’ve never before had so vivid and personal a reminder of the value of the Memorial Society and of its parent organization, the Funeral Consumers Alliance. My son-in-law had done no advance funeral planning. The family lived in Woodstock, just over an hour from our home but outside the range of the providers the Memorial Society contracts with. We brought our daughter and the girls up to stay with us immediately, and got to work making arrangements the next morning. I found my copy of the FCA list of chapters and called the number for the Mid-Hudson Memorial Society in Poughkeepsie. A volunteer answered the phone on the third ring and gave me the name of their participating provider in Kingston. I called, got his answering service, and he called me back within 10 minutes. He was extremely helpful and informative. We had everything arranged in under an hour, an enormous relief for my daughter and the children, as well as for his aging parents, who were too shattered to deal with the situation long-distance. Two weeks later we had a simple but beautiful memorial service by the Hudson at a public park. We were able to reserve the pavilion free of charge, and since the family had chosen cremation, there was no need for a funeral director to be involved by this point. The day was perfect — gray and drizzly but warm, and over 100 people came. My husband presided, and my daughter and the nine-year-old granddaughter scattered some of the ashes in the Hudson while my husband spoke about how the ashes would make their way downstream past Nyack, where our son-in-law grew up, and New York City, where they had lived. Just then a great blue heron flew downriver. The entire experience has convinced me more than ever what an important service the FCA and its chapters provide, and how meaningful and healing a memorial service can be when planned entirely by family and friends. It’s hard to believe it’s been a year, almost to the day, since that memorial service. My daughter and granddaughters have proven amazingly strong and resilient, and they’ve moved on with their lives. Last month Stacey became a first-time home buyer, and they’ve moved into a beautiful little brick house in West Hurley, right near Woodstock. The girls can continue in the same school system, with the same friends and the marvelously creative teachers and vibrant musical program you’d expect of a school in Woodstock. And there’s ample room for this grandma to stay over, both to pitch in with childcare and to partake of the local art and music scene down there. Maybe one of these Saturday nights I’ll even treat myself to a ticket to Levon Helm’s Midnight Ramble. The former drummer for The Band holds these weekly shindigs at his home studio, and all sorts of musical luminaries are apt to stop by. But I digress – a perfect example of how easy it is to drift off-topic rather than discuss death and dying. In Monday’s post, I’ll conclude this series with a discussion of some specifics about exactly how people can save money on after-death services by becoming involved with the Memorial Society or another affiliate of the Funeral Consumers Alliance. In the meantime, I’d welcome your comments and questions – maybe I can address them in my next post. For now, I’m off to the Hudson on another warm gray September day, to enjoy Albany’s free jazz festival – down by the riverside.